Please note that this website has no relation with Sinatra family or official channels. 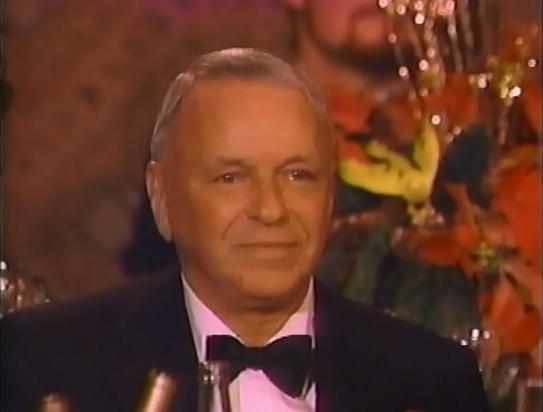 I just wanted to tell Mrs. Sinatra that her book was so wonderfully honest and made me feel that I got a chance to know Mr. Sinatra. She was able to let the reader be a flt on the wall during her love affair with her husband. it was a touching but more very exciting to understand the events from her point of view. How romantic he was. How gracious and philanthropic he was. And a pretty good crooner to. The last few pages were hard to read, but they were beautiful and showed me that Mr. Sinatra may have been Chairman of the Board, but Mrs. Sinatra was CEO. Please thank her for sharing part of her life with us. Would someone PLEASE do me the honour of ensuring Mrs. Sinatra sees this note – I’d be beyond grateful. Thank you so much! I’m putting my address here so that, if she wants to reply, she’ll be able to…. With the subject in mind, I’d like to think she’d want to comment! Thanks for your comment. I wish I were in a position to contact Barbara Sinatra, but I am not. However, your message might be seen by someone who can contact her, tho I find this unlikely. Still, thanks for reading and commenting. If anyone has any information on the recording date the radio commercial duet Frank did with Rosemary Clooney for Ford Motors in 1959(for J. Walter Advertising Agency), I’d appreciate it! It is a recording that is undocumented in any Sinatra book or discograpghy, yet I have the record of this. In fact, the Sinatra estate(FS, Jr, Nancy, and Tina) tried to get it from me via their attorney Robert Finklestien back in the late-1990’s. Also, Frank Sinatra produced a movie in 1960 called “X-15.” It starred Charles Bronson and Mary Tyler Moore(in her first featrure film role). This, too, is undocumented in any Sinatra tome. Yet, I have the phonograph record of the radio spots promoting the movie voiced by frank himself. Why has no one acknowledged this film with Frank as the producer??? With $350,000 assigned for primary shooting, with an additional $72,500 for post-production work, by August 1960, pre-production had moved from Hope Enterprises (Hope’s film company) to Frank Sinatra’s Essex Productions. Just wondering if you could help with a little question here. I remember reading a story a long time ago about a meeting that took place soon after Frank Sinatra’s 80th birthday party tribute show. The story went that both Bob Dylan and Bruce Springsteen paid Frank a visit at his home where they sang songs around the piano and joked and swapped stories for a few hours. Frank was supposed to have really enjoyed it & suggested they come back again soon. Do you have any idea what songs they may have sang that evening or any of the banter that took place? I find it fascinating that such an event could have taken place & am very curious for any more info on it. I have a record/acetate I think by frank sinatra. It is a private recording on the hmv label side a is the stars will remember and the b side is surrender, I think. I can’t read the writing clearly as the writing is swirly. I don’t know if this is a private recording by mr sinatra and would love to find out more about it. Any ideas anyone? could you tell me where i can view or dl that 1961 seattle concert you talk about? that youtube link doesnt work. I think the Seattle Concert you are talking about was June 9,1957.It can be found on the deluxe set “Sinatra-Best Of The Best”.2 CDs. As far as I know,there is no video of this concert available. Would anyone be interested in receiving free (I’ll pay postage), two Sinatra CDs? The first is entitled ‘A Portrait of Frank Sinatra’ and is a 2 disc set containing 44 tracks. The second is entitled ‘Christmas Memories’ and features 3 Sinatra tracks, the rest being well known artists such as Bing Crosby, Ella Fitzgerald and Louis Armstrong. These are part of a large collection of CDs which I’m now breaking up. I have been searching for a cd or dvd of the Sinatra Concert on 2nd of December 1961 as I was there in the front row and every other him every time he came to Australia if a copy of cd or dvd is available I would love to get them I have seen them on youtube and I agree I think it was one of his best. I have the cd now but would love the DVD as it has been taken off youtube. Hi , i was wondering how to get a response through a letter to the surviving members of the sinatra family .my father who will be 80 on the 9th october of this year has been a huge fan of frank sinatra and his voice, i would wish for a letter just wishing my father a happy birthday from either frank jnr, nancy or tina sinatra.Iknow this is a big ask , and all my hopes ,very kind regards c.p.challis. Hi, It’s available on Amazon.com under the category of CD’s for $4.95 plus some postage. or who may be interested in the item. Hi all i need help i recently purchase a biulding in the middle of country. This place was a old movie theatre in the 50 and 60’s . i found an old public service announcement in the attic. It is Frank Sinatra for christmas seals. It was made (in my best guess) in the late 50’s in his movie trailor. it is NOT the one with jerry mathers. It is also strang that he is in a shirt no tie no jacket and his sleeves are rooled up some. i have never seen anything with frank were he is not perfectly dressed. this to me looks like a test film but got released. i have tried everywhere to find out about it. please feel free to email me and i can send pictures any help would be nice. i would like to get appraised and sell i am not a collecter and have no need for it. With Mr. Sinatra due to play the Peabody Auditorium here in March 2016 i thought perhaps we might do a phone interview. I am a columnist for theDaytona Beach Hometown News with a circulation of 100,000 plus net. Frank Jr. and i are the same age and in 1963 i was detained by police at gunpoint on Mulholland Dr when i blundered into the ransom drop zone. Perhaps I could help sell a few tickets with a good personal story. Dan Smith, Hometown news Daytona Beach Fl. Phone (386)441-7793 before 6 PM. On Thursday, Dec. 10 from 7 to 10 PM – just two days prior to Frank’s Sinatra’s 100th birthday – yours truly Martin McQuade will celebrate the legendary star’s career at Leo’s Casa Calamari, located at 8602-3rd Avenue in Bay Ridge in Brooklyn,New York..
Of special note – Sinatra’s connection to our city will be emphasized with his signature tune, “New York, New York ” – and also with “The Brooklyn Bridge,” which he introduced in the 1947 film, It Happened In Brooklyn. There will also be a collection of Sinatra memorabilia on display. Call 718-921-1900 for dinner reservations – or raise a birthday toast to “The Chairman of the Board ” at the bar. I am not trying to sell you any Sinatra – Rat Pack memorabilia. I’d rather sell to you the nostalgia and of the most epic, beautiful time ever!! If you can’t transform back to these ages, it’s okay, their are wonderful reminders everyday! Be grateful for what you’ve encountered, as I am.. Though I know it’s all me, thank you Dean & Frank, In know you’re looking after me! I will be at the top! I’m Max Cattani from Italy and I’m a great lover of the Frank Sinatra Tommy Dorsey recordings. I’m seriously thinking about buying the 5 CD set The Song is You, which features all the Dorsey-Sinatra recordings, plus the first Stordhal Session and a lot of rare radio performances, including the farewell by Sinatra to the Dorsey Orchestra, a very important moment in music history , because it was the beginning of the Sinatra we all know. But I got to know that recently has been released a 4 CD collection entitled The Complete Studio Recordings. It presents, as it says, all the studio recordings by Sinatra with Dorsey, with many alternate takes, but no Stordhal session and no radio performances. I should think that the RCA box set is much more worthwhile, but I only have one doubt. I want to be sure that in the RCA 5 disks the recordings are presented with an authentic sound quality, with no faked stereo effects of unwanted amplifications. I prefer the original 78 sound, or the master sound but with no elaboration or filtering, because when this happens it makes me very nervous and gives me the impression of having a phony product. Because there seems to be a lot of people who are very into this subject, which one of the two releases would you advise me to purchase? Hello, My name is Di’erre. I’m a professional singer and performer! I sing a lot of Frank Sinatra’s music! I love his music! I have a fan page on Facebook, with videos. Please go and check them out and tell me what you think! I want to keep Sinatra’s music and name alive! Hello The Frank Sinatra, send information to sponsor the Palmdale Falcons & Aviation, sponsor athleticlly, academiclly & scholarly pass the torch of sponsorship. Celebrate the joshua tree heritage about horticulture. Contact PHS 2137 E Ave R, Palmdale, Ca 93550, phone 661 273- 3181. And contact WHS 1900 7th St. Wasco, Ca 93280, phone 661 758- 7400. Create fun t-shirts about the music of Franky blue eyes, for students & teachers. Thank you, Isidro Cazares Jr.
Pianist Dan Furman will accompany me for this special evening of songs, including I’ll Never Smile Again, All or Nothing at All, Night and Day, I’ve Got You Under My Skin, Time After Time, Three Coins in the Fountain, All The Way, Come Fly With Me, High Hopes, All My Tomorrows, Angel Eyes and My Way. In recognition of the upcoming 135th anniversary of our borough’s ultimate landmark, the program will include “The Brooklyn Bridge,” which “Old Blue Eyes” introduced in the 1947 film, It Happened In Brooklyn. Leo’s Casa Calamari is located at 8602-3rd Avenue in Bay Ridge, Brooklyn. Call 718-921-1900 for dinner reservations – or raise a toast to “The Chairman of the Board” at the elegant bar.